Software developer / composer Carla Scaletti gave an invited talk at the very first ICAD, organized by Greg Kramer in 1992, based on work she and Alan Craig had carried out the previous year at the National Center for Supercomputing Applications, creating data-sonifications to accompany data-visualization videos produced at NCSA (“Using Sound to Extract Meaning from Complex Data” SPIE 1991). The subsequent year, Scaletti, Brian Evans and Robin Bargar presented a pre-conference tutorial on data sonification for SIGGRAPH-93. Scaletti’s primary focus is the creation of software tools for real-time sound synthesis and manipulation in the Kyma sound design language at Symbolic Sound Corporation (which she co-founded with Kurt J. Hebel), while continuing to create both data-driven music and scientific data sonifications (which she insists are two very different activities). Along the way, she's discovered that doing data sonification changed the way she thinks about data, and about mapping, and about sound synthesis and, somewhat unexpectedly, it’s also changed the way she thinks about music. In 2015, she was invited to present a keynote address at the International Computer Music Conference (ICMC 2015) and was an invited lecturer at GVA Sessions — a workshop in Geneva involving choreographers, filmmakers, and particle physicists from CERN. Each year, she co-organizes the Kyma International Sound Symposium (KISS) which, in 2017 will be in Oslo Norway on the theme “Augmenting Reality”. For more information, go to carlascaletti.com. Elizabeth Cohen, engineer for the arts, received her M.S. degree in Electrical Engineering and Ph.D. in Acoustics from Stanford University. 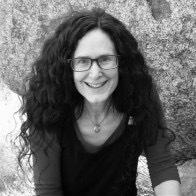 She has served on the faculty of Stanford University since 1980 as Consulting Professor of Electrical Engineering at Stanford and as a visiting researcher at the Center for Computer Research in Music and Acoustics (CCRMA). She was also appointed as a Visiting Professor of Information Studies and Theater, Film, and Television at UCLA and a member of the Moving Image Archive Studies Program. In 1982, she founded Cohen Acoustical Inc. 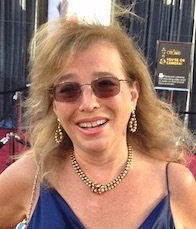 Her clients have included The Academy of Motion Picture Arts and Sciences, CBS, Digital Theater Systems, Dolby Labs, Fraunhofer Institute, Grateful Dead Productions, The Los Angeles Philharmonic, Meyer Sound, The Walt Disney Company, Sony, Universal Studios and numerous other arts and entertainment organizations. Her acoustical design of the Joan and Irving Harris Concert Hall in Aspen, Colorado has received worldwide acclaim. From 1993-4, Dr. Cohen served as Science and Engineering Fellow to the White House Economic Council where she was responsible for Arts and Information Infrastructure Initiatives. In 1998, she received the Touchstone Award, from Women in Music and the Distinguished Alumni Award from the Stanford Women’s Center. In 2000 she received the AES Distinction Award, for Pioneering the Technology Enabling Collaborative Performance over the Broadband Internet. As part of the CineGRid and broadband network interdisciplinary community her current work is focused on the research, development, and demonstration of networked collaborative tools to enable the production, use and exchange of very-high-quality digital media over photonic networks. She is a Past President and Fellow of the Audio Engineering Society, Member of the Academy of Motion Picture Arts and Sciences (AMPAS), Fellow of the Acoustical Society of America, member of the Society of Motion Picture and Television Engineers, Ad Hoc Postproduction Committee. She has served on the National Academy of Recording Arts and Sciences Committees on Archiving and Preservation and the Producers and Engineers Wing Advisory Council. She is currently serving on the Sound Preservation Board of the Library of Congress, Rhythm for Life Foundation, and the Institute for Music and Neurologic Function. In addition, she is the Vice Chair of Education for the AMPAS Science and Technology Council, a member of its Digital Motion Picture Archive Committee, and is the co-chair of The Academy Archive Digital Content project. Dr. Cohen served on the National Science Foundation Blue Ribbon Panel on Sustainable Digital Preservation and Access and the Sloan Foundation Stewardship Gap Advisory Group. Dr. Cohen has collaborated with Nobel Laureate, George Smoot, on outreach efforts to expand student understanding of the role of science and technology in the creative arts. She continues her affiliation with numerous STEAM programs to build inclusive pipelines for the next generation of creative engineers.